The ability to make an impact is how I would define leadership. I am fortunate to reflect on my leadership skills while running my business on a daily basis. I notice that everyone I have worked with, can lead the group. But only a few is willing to become a person in charge, particularly when walking through the recession. Thus, leadership requires some certain personality traits, skillsets and motivations to be present for a great leader to stand out from the crowd. My reflective paper will discuss leadership skills and styles of 2 successful global business leaders Blake Mycoskie (TOMS), Sheryl Sandberg (Facebook), and Eckhard Pfeiffer an infamous leader who sent Compaq to history during his reign. Trusting your people allow you to lead from afar. Somehow I found myself in Blake; he’s a caring, charismatic and compassionate young tech-savvier. He presents the concept of conscious capitalism that has been taught by Professor Christopher Abraham “Become a leader” course. Apart from his social responsibility (giving shoes to impoverished children around the world), the notable leadership skill that inspires me the most is the ability to give authority and trust to his chosen team members. TOMS Shoes has offices all over the world and Blake has a handful of start-ups running across verticals which keep him communicating and directing via the Internet most of the time. Therefore, the entire business is run by team members who are hired directly by Blake. Before recruiting for a position, Blake wore every single hat along the way for a week or two, so he could throw the challenges to the candidate and evaluate his or her problem-solving skill. Once the candidate is appointed to the position, Blake gives complete authority and autonomy to that person and empower them by sharing his advice and guidance via his blog posts and internal billboard. He leverages technology to keep him engaged with company’s ins and outs, ups and downs so that he can intervene the process in the timely manner to limit slacks. Likewise, Studying abroad gave me the chance to use technology like project management tools, Atlassian and Slacks, for effective communications. At the same time, the core team leaders who run my business have the entire authority to work on the assigned projects. Higher levels of trust lead to higher individual, team, and company performance. So what I have followed Blake from the beginning is to build an effective and opened internal communication channels in Slack so each team member can quickly view on-going, pending tasks, and other social updates like staff’s birthday, rewards, achievements and other social and funny news surrounding our daily business. On the other hand, my teams can understand what I am doing while I am away so that we can all sit on the same page and have each other’s backs. Great leaders don’t want compliance. Facebook has a team taking care of homepage and advertorial on the login screen. A decision to place a congratulatory text on the homepage was solely made by Sheryl and Mark over the weekend without noticing the team. That drove the company insane and raised up many controversial debates surrounding the decisions of the two most influential persons. The feeling of contempt by the team who manage this homepage could demotivate the working spirit not only within that particular team but also spread out to the others. They could have marched down the hall and explained to everyone that “Hey! You work for us, we made the decision, we’re allowed to do that, you’re supposed to listen” but that was not what they did. Instead, they profoundly apologised the entire company and promised not to make a decision without consulting the team who works on the product again. Sometimes, the leader needs to stand up and make a decision by talking to his or her members’ hearts and convincing them to work together. Utilising hierarchy power can backfire because if you are not convincing enough, the whole team cannot align with your vision. Hence, your execution plan will be collapsed, and you will become the only soldier enter the battle. The open working culture embraces creative ideas and is the ladder to create a great firm, such as Facebook and Google. Sheryl admitted she had to learn from her co-workers because they know the ins and outs and have hands-on experience with the product on a daily basis. While managing the operations of Facebook, she doesn’t want people to follow her commands all the time. She believes the front-line workers who tackle with problems everyday have the greatest wisdom of the products and processes. Therefore, she has reinforced the idea by conducting Q&A section along the way to seek for disrupted ideas, new thoughts, creative ideas or just a simple feedback on her mistake. Indeed, I once believed my work is to come up with the best ideas and inspire the team to follow my orders. However, I failed severely because I couldn’t make them feel enthusiastically while pursuing the project of my idea and ignoring all the important objections. Fortunately, three of my team leaders are still walking side-by-side and together, we reviewed the problems which came from my ignorance of their ideas. So, the lesson is to be a great leader you must learn how to listen effectively and more importantly, you will need to find the way to get people actively tell you the truth. Who should be in charged? the CEO or the Chairman? Compaq enjoyed the period being associated with the phenomenon of PC industry during the first decade in the 90s. Eckhard Pfeiffer led the company to experience a tenfold increase in revenues from 3.3 billion to 31 billion by 1998. However, Pfeiffer and Rosen appeared to set a failure record in the PC history due to the avoidance to learn and the utmost power of corporate governance. Compaq’s portable computer was considered as the father of the laptop back in 1982. It continued to pursue its ambition to offer the broadest product line in the PC world. Not until 1989, however, that a strategic adoption of low-end server market was executed to help Compaq directly dominate this segment which was a share of IBM and Packard Bell. It gave Compaq a foundation to become the world’s leader in PC and server markets but unfortunately, the enormous business and sales’ expansion plan including Tandem (a manufacturer of high-end servers) and DEC (the leading mid-frame computer company) acquisition in 1998 resulted in its stray from Compaq’s core business and led to an acquisition by HP in 2002. At a management level, Pfeiffer has shown his incapability to learn from people down in the organisation. He was a brilliant man but he put his wisdom above others and reluctant to be more open to learning. “His men would have bought in more and aligned around exciting his strategy” (Liu L., 2012). Like mentioned in Sheryl Sandberg’s story, she emphasized the importance of listening to people around you, As a COO of a technology company, Sheryl has limited knowledge to some extent but to be great leader you do not to know everything but to embrace people’s competency and help the pursue their ideas and more importantly give them a successful leap to stardom. Eckhard Pfeiffer had a great chance to join the list of greatest leaders of all time if he was aware of the value of Altavista, the original search engine and the predecessor to Google and Yahoo! At the board level, the corporate governance also played a vital role in Compaq’s devastation. According to Cooper, Compaq’s board of directors led by Ben Rosen “was guilty of gross negligence” (Cooper C., 1999). Ben was “technology seer, industry luminary and venture capitalist extraordinaire” who should have noticed Pfeiffer as an incoming tech wreck but he did not proactively drive the ship around the iceberg. Along with other board members, he denounced Pfeiffer as the chief culprit after ousting him. Compaq treated the exec in such way that I believe is immensely discourteous, inhuman and short-minded to whom literarily led them away from the precipice eight years ago. 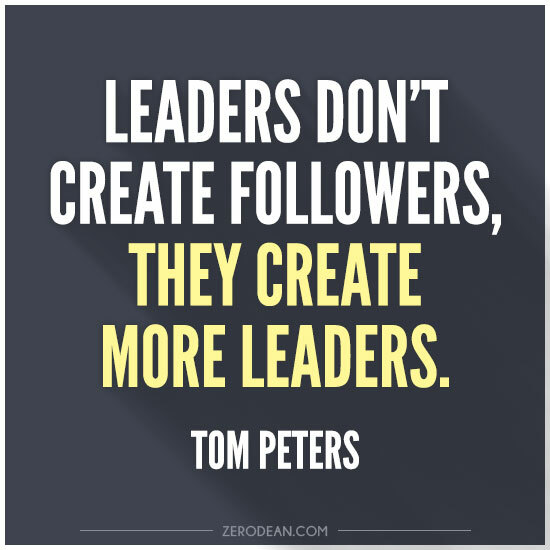 To sum up, I would borrow a quote from Tom Peters, “Leaders don’t create followers, they create more leaders.” to express my thought about leadership. Blake shows his compassion and wears it on everyone working with him, Sheryl apologised for her decision and promised not to repeat. She encourages her colleagues to raise up ideas and she is willing to listen. Are they successful? That I don’t know, but apparently they enjoy every single minute they work along with their peers. Leadership is all about interaction between humans. The knowledge can be adopted, but attitude and behaviours are determinant factors for making one become a great leader. It clearly explains how leaders are made, and that it is not for everyone.